A help which turns out to be a fiasco! Disapproval from the loved ones who is always taken for granted! Bad news of self or others! A long drive / ride with Friends! A gift to the loved ones and the shocking surprise on their face with a very happy smile! Cards game with Mom and Dad! A difficult problem, which is finally resolved! A long awaited response from an adorable friend! Crying out aloud and letting out the emotions for once and feeling better!! In the middle of traffic, irritation on mind and there’s a smile from a lil kid, which is very apt for Newton’s III law! Receiving a surprise gift from miles away on a birthday! Help receiving out of no where, which is filled with none but gratitude! A much tensed atmosphere, which bursts out like a balloon and no tension whatsoever! A task / presentation turned to a success “a feather in the cap”! Sunset / Sunrise / Full Moon / Silvery waves, in short Nature! Life is all about ignoring the “not so good” adopting the “feel good factors” and moving on! Moments.. good or bad.. some are lessons.. some are memories! 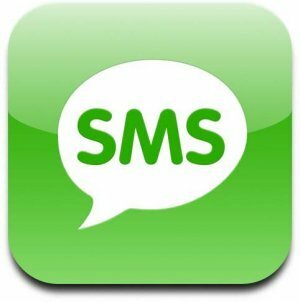 “Why are you so obsessed with sms?” This question has been posed to me recently by my dear brother; however, this is not the first time I have faced this question. Many of my friends have asked this before and some even scolded me for communicating important and urgent messages through sms rather than call. Firstly: I need not ask them to repeat what they have said. Secondly: There is a lot of privacy when you chat over sms rather than phone “no disturbance funda”. I don’t think anyone was ever depressed as I was, when the TRAI imposed the limitation on sms LOL. Thanks to them they have raised the limit to 200 sms per day. By now all my close friends are well aware that I respond more promptly to sms rather than a phone call. There have been times where I was totally free but I just let the phone ring instead of answering :P.
Philosophy is a strange subject which everyone is aware and no one would like to listen; however, most of us say it! Here I come with my own thoughts once again with every moment of my life that gives me the learning of philosophy in every step. When I was born I don’t remember carrying an attitude of being nice, rude, pleasant etc., but if I now turn to look back and see I had all these and more in every stage of this so called life! How is one person defined as good, bad, egoistic and so on? While I understand it’s easy to define evil how is it possible to define ones good and bad attitude? Things which seem nicer to us are good and things which are not so nice and/or hurt us are bad. When the point of view changes from one person to another, I don’t believe that I can define good and bad so easily! It’s all situations demand. No one would come on this Earth with a tag that reads “I am a good guy”, “I am a short tempered guy”, “I am a career oriented guy” and so on. As life goes on you could see people tagging you with these things. Amazingly one will have all the tags from different set of people. Many of us say that I define myself and live accordingly. Whether one agrees or disagrees that’s not entirely true! In everyone’s life there is a little bit of compromise, little bit of sharing, little bit of trust (huge in fact) and expectation. Life is good! Life is actually always at its best! Life is a complaint only because of two things!! 1. Expectation. 2. Disappointment. to understand that there’s no point panicking over things that ought to happen!! how important it is to remember what I have done and how important it is to portray the same every now and then regardless of requirement! It’s always easy to edit an essay, which is already written.. but difficult to start something afresh.. The truth is it’s just difficult .. Not impossible! No big aims nor worries at the moment.. Just need to be ready for whatever am gonna face! Waiting in a nice restaurant, looking at the watch, sipping the coffee, waiting for our friend/love/colleague to come and “expecting” them to be on time…. Given all the hard work, Did the best that can be done, now awaiting the result.. “expecting” the positive…..
Nice little word this “expectation” is.. 🙂 Oh yeah.. leads to another little word “disappointment” many a times!! Then why do many of us come to a conclusion that we shouldn’t be expecting? Expectations should be there in life!! Obviously, if there are no expectations how can we achieve?? We qualify to preach as saint, don’t we?? The only thing to remember is .. It’s Okay if it didn’t happen, there is always next time!! It’s okay if our friend did not wish on the time we have expected, he/she wished us anyways! It’s okay if we didn’t get what we want in life, we can still try anyways! It’s okay if we did not receive help just when we needed, circumstance has passed through anyways! It’s okay if we are encountering too many failures at the moment, life is a lesson anyways! Disappointment is needed for a better homework! Call it luck, Call it God’s grace.. but I could have been “late latha” today lolzz.. As usual I was on the way going to work.. On the NH-5 when I am driving in sixties my bike suddenly stops!! Firstly, there was a bus 10 feet away and the driver managed to stop the bus at least just before me (full speed it was) and there were no lorries near by. Else, I would have been dragged at least 10 feet away beneath those wheels 😀 😀 Secondly, it was Sunday, so there was moderate traffic instead of the usual heavy traffic. There came the young man 🙂 don’t know who he was. But he just helped me pushing the bike out of the highway on to the pavement and to the service lane. I did thank him for all his help but didn’t know to thank more! I haven’t made any resolution not even one since these many years.. I have just learnt as days passed by.. Some instances, which really made me think twice about life I came across, would like to share this with you all while I continue to learn things in my life ! I was on my way from Tirupaty to Hyderabad and I was lost in my thoughts because I was thinking about a decent job with much better pay! I came across a situation where everyone of us might have come across at least once in our life. But I still don’t know why I can never forget this. There was this person (I can only think is a beggar by his attire) somewhere around 28 years was so hungry I believe was having food in between the heavy rush on the platform instead of sitting aside and having. While I watched him I just thought why can’t he sit in a corner. The train moved and I saw him getting up and he has no left hand and a left leg! I cannot exactly explain how it touched me, but it was like splashing water on my face! It’s hard for me to complain about my pay now because life can be worst at it’s best! Being materialistic is necessary. If one is not calculative in the journey of life things might go out of control. However, that does not hold the top most position in life! There are other things which money can’t buy and which everyone knows. I have lost 15000 rupees this year which is almost a month’s salary for me. It was huge for me! It was a back up! I realized at 2.30am that I forgot my purse in the cafeteria. That 15000 was something I had to pay to the banks the next day for my loans. I called up my Dad and informed him what I have done and couldn’t stop crying. Ohh did I tell you that in my family my dad is the only one who actually goes by calculations? But that night when I called him instead of scolding me for being reckless he just said “let it go, tell me if you need money to pay your loans I will give you tomorrow”. He was not harsh and he didn’t bother about money that much at that time. I didn’t had the necessity to take his help coz as I said it was a back up! But that night his words made me realize that one proper reaction of us can make the other person feel relieved and elated. Had it been the other way round, calling him at that point of time and informing him would only made me feel worse! The reason I have shared some points are, often we do not realize the gift of being “human”, we cry for what is out of reach, and ignore the one which is in front of us. If we can just change the view and think in a different aspect, life can be really beautiful though unpredictable! Happy New Year Friends !! Keep Smiling! !